There are attempts to keep them safe, but it's difficult. In its wake of devastation, Hurricane Harvey has also flooded mass amounts of cattle grazing land. Much of the land outside Houston and Corpus Christi is rural, with major concentrations of farmers and ranchers. Those areas were not spared by Hurricane Harvey; for example, despite being pegged as a banner year for cotton, the crop was decimated by rain and flooding. But perhaps the most iconic Texan agricultural product is its beef, and the struggle to salvage millions of dollars worth of cattle has been intense. Efforts to get cattle to safer, higher ground are hampered by the fact that much of this pastureland is covered in feet of standing water and is simply not accessible. The New York Times has a great story about Ryan Ashcraft, a 22-year-old helicopter pilot who’s doing his best to urge wandering, at-risk cattle to safer spots away from the flooded rivers and creeks of southeastern Texas. He flies close to the cattle, trying to herd them away from danger with the loud noise of his helicopter blades, and sometimes relies on a gun filled with rat-shot – small pellets that annoy but don’t hurt the thick-skinned animals – to move them. But the struggles don’t stop there; even if the animal makes it to higher ground, that’s not to say it’ll find much to eat. There are attempts to set up supply points for animal feed, with pilots like Ashcraft dropping in bales of hay and protein-filled cattle cubes in these barren areas, but many ranchers are in a frantic state. They don’t know how many of their animals have survived, where they are, or how long they can live on their own out there. 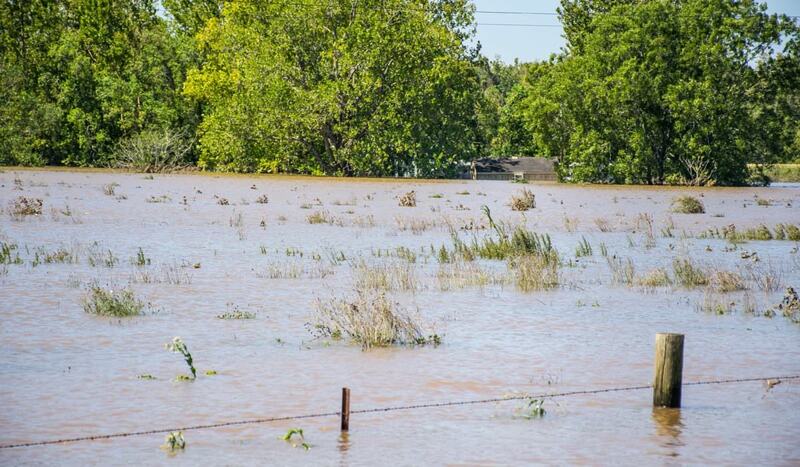 If you can supply vital food and other products to help farmers and ranchers make it through the flood, get in touch with Texas A&M, which is accepting donations.